The Underdark... a land of horrors and beauty with very little of anything in between. Specialist Haelirin was scouting ahead while Liriel Baenre was covering their tracks. 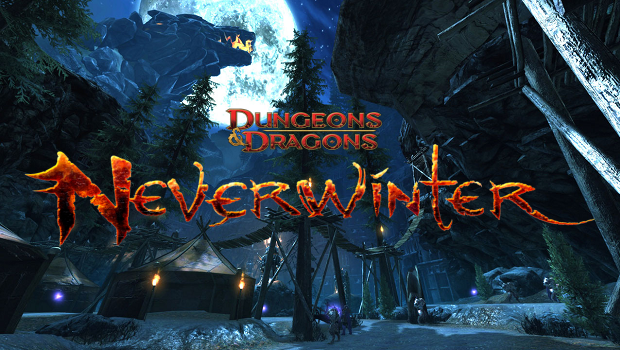 Traveling the Underdark is hazardous enough, escaping the Underdark... easier said than done. The two regrouped, using their unspoken language of hand signals, told each other their tasks were complete. They moved on through the treacherous caverns avoiding conflict wherever possible. They did not carry much for they were leaving before their indoctrination into the Drow society. The rogue Drow knew they were getting closer to the surface. The air changed from the thick humid coolness to a more dry brisk air that flowed. After several more days they found the way out. It was night and the moon was full. Even that light was stinging their eyes. They camped in the cavern for several days to get accustomed to the new sensations that accosted them. Sunlight burned away the magical enchantments that was placed upon their gear for survival in the Underdark. However, on the surface, the sun showed to be more powerful. Stripped of their enchantments but not their skills, they survived this new wonder. Preferring to travel by night and find shelter from the sun by day, they ventured out into the late spring air. Drow were seldom seen on the surface. Many times they had to fight to stay alive for they would be attacked on sight. Other times they would be hired as mercenaries for very little coin. One such job, Liriel and Haelirin came across a half-Orc. Norros wielded a mighty poleaxe. He was also not the typical mercenary. Intelligent for one from the barbarian tribes. They found that they worked well together. 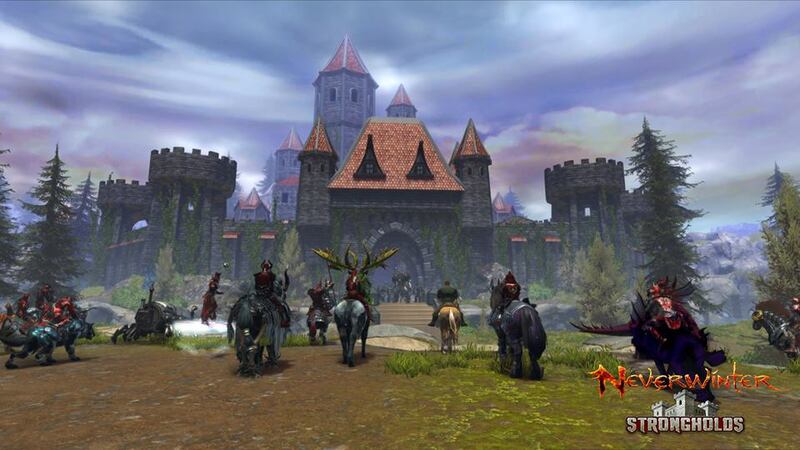 Norros would rush in taking the foes headon while the others would rain arrows down. It was a strategy that caught the attention of quite a few, especially an old wizard. They hired out to the wizard, Anthalore, and his apprentice, Mama Lorren, as extra muscle for his move to Neverwinter. His personal guard, Tamriel Willowbrook, was not fond of the idea of having Drow and a barbarian half-Orc with them and kept an ever watchful eye on them. The wizard had an affinity for jade and learned of a cache hidden in the Sword Mountains. The trip would add several weeks to the journey. Anthalore promised a share of the cache in exchange for the change in plans. The trip was long and hazardous. The Drow rangers felt as if they were being tracked and followed and that something kept sending all sorts of foul creatures at them. They found that the dottering old wizard was not so old when it came to combat. They reached the cave that held the cache they were looking for. The traps were near deadly. Now, with everyone severely injured, Norros moved the great stone that made the false back of the cave. In a niche was a small eight inch statue of jade that looked like a bird engulfed in flame. The wizard removed it from its niche and turned. The air grew heavy and sparked in front of them. Then a demon materialized. the demon smiled a wicked smile. “You see, only a mortal could get through the traps here and live. You were merely a tool to get the prize. That holds the essence of a living phoenix bathed in green fire. Powerful it will be when I make my move against Battlehammer.” He struck the ground with his staff and knocked everyone back and to the ground. Anthalore still held his stance. He looked briefly at the one who had protected him on this journey. “Remember me.” He threw the statue down at the demon's feet where it shattered. The demon roared in fury and pain as he was engulfed in green flame. Anthalore, with his hands now glowing in pulsing vibrant colors, rushed the demon. The flames were almost too much to bear from the heat. Roars and screams could be heard from it. Then... silence. The flames died down. The demon and the wizard were gone. In their place was a green bird engulfed in flame. Or was it made of flame? The Phoenix flew out of the cave and was gone in an instant. All that was left of the battle were the shards of jade on the cavern floor. I am pleased to announce that the North Terrace Vender is now open! You can now salvage your equipment at the Stronghold. So we need influence for the guild. get a group together and make runs in the guild lands to get influence and donate. I have not changed the current goal due to the fact we still need Glory. Also, side note, don't forget your free gift in PE for the new campaign. We do a lot of quests as a group to help others along in their paths. Any are welcome. 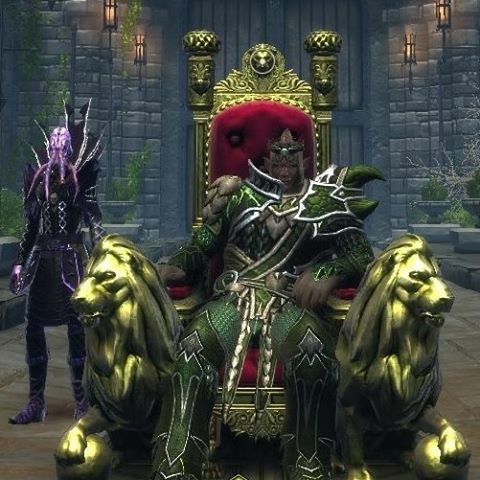 Lord Knight: level 70 and 500 donations (fey, dark, tyranny, frozen) AD chests at my discretion, 5000 Glory and 25 letters of helping others. Note: Vouchers at the discretion of the council. *Promotions outside of these requirements will be at the discretion of the Ruling council. For Those who wish to offer additional support for the guild, we are always upgrading our Guild and your financial help will speed things up. Financial Donations are not a Requirement of the Guild but will help us grow to a force to be reckoned with in this Savage Realm. In Game guild contributions are always welcome as well. Should you have spare gear, Equipment, Gold, Gems, etc you can donate then to our cause right in the guild strong hold. 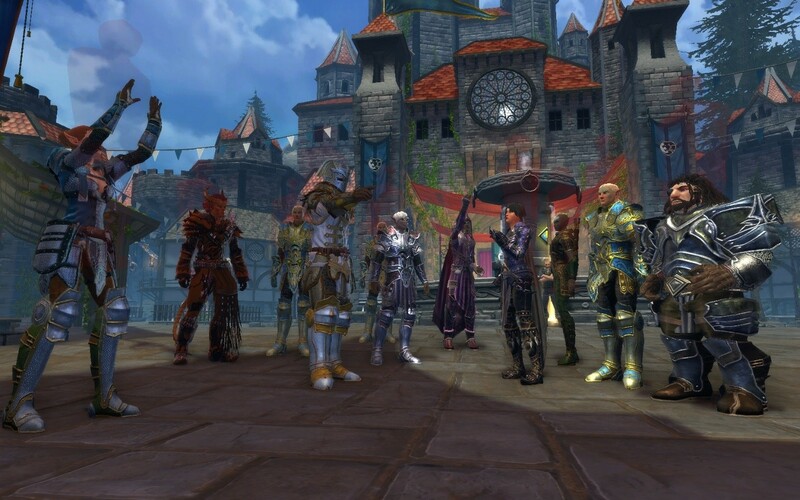 We are a nonprofit group dedicated to Growing our Guild in the Online Game Neverwinter. We are online often and explore as Groups as well as make an effort to help other in the game when they are in need. Any Contributions will go Directly and fully into improving our Strong hold Via Zen in game purchases. 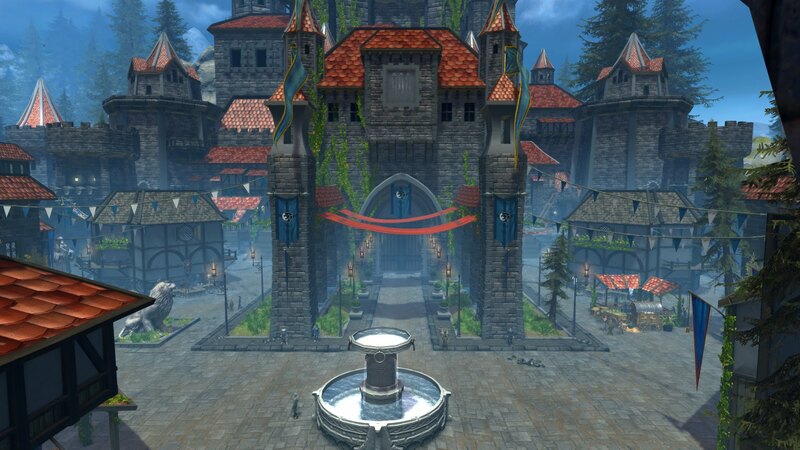 Contributions are not required nor will they increase your Rank but will in turn advance our abilities as a Guild to expand our Stronghold for Future Guild Member Endeavors. Copyright AIRPGA 2002, TSR, Wizards of the coast and others own all rights to Advanced Dungeons & Dragons gold box series of games as well as 2nd edition gamming systems. Graphics used in these pages come from many sources but are produced by the above mentioned publishers as well as many other sources. S.E.A.D.S. does not claim ownership nor creation of articles, graphics, logos, and other documentation displayed on this site. S.E.A.D.S. RPG Pages are a concept of many enthusiasts and games alike. This and all material located within these pages is solely for entertainment purposes. For info on these and other sources used in the creation of these pages please contact [Webmaster].